A customer asked if I could just replace the lining of her lampshade. My answer was "it depends". If I can get the outer fabric off without it being destroyed, then definitely yes. She was willing to let me try and here it is. 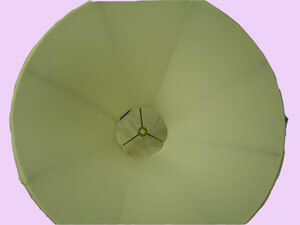 Most lampshades can have the linings replaced. Email me to find out if yours can be done.